A singer songwriter that has roamed from Rochester, NY to the Hudson Valley and now lives in the lovely western Mass. town of North Adams. She's been a songwriter and performer for a 7-piece band for the past 6 years and has recently begun reconnecting to her inner singer songwriter. She brings a soft and soothing indie folk sound to your ears while also widening your eyes with raw, soulful moments within her set of originals and a few covers. She's recorded two full-length albums with her band, Upstate, and is getting underway on a new solo EP. Her band’s new full-length album will be released on Feb. 8 of this year! Keep your eyes out for this gem! 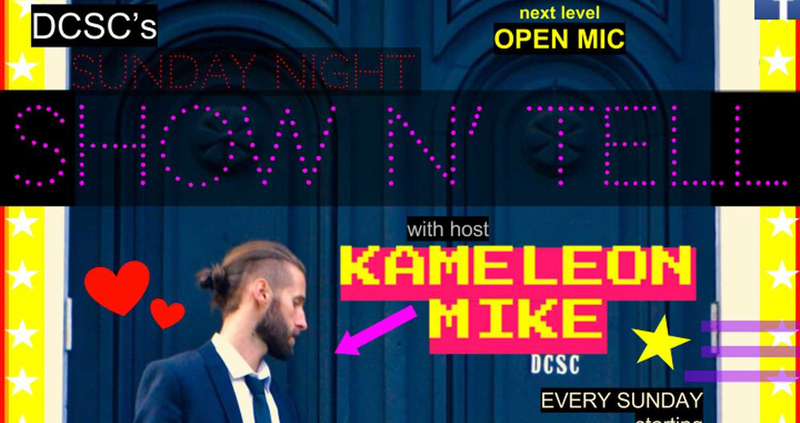 A dynamically delicious open mic that is good.. I couldn't have said it better myself.. check the link below. The SNT is every 4th Sunday at the Race Brook Barn in Sheffield, MA. Every episode is hosted by Kameleon Mike in a variety show format and streamed live on the SNT Facebook page where it remains archived for all time. If you can't make this event then like this page and stream it from home. The quality however will not compare. Headlined shows are $10. The rest are free. Bring your music, poetry, comedy, stories.. anything you silly goose!